Summary article by Pam Baker in FierceBigData. CrowdFlower, a crowdsourcing service with over one billion tasks completed by five million contributors to date, loves lists and infographics. Heck, we all love both. 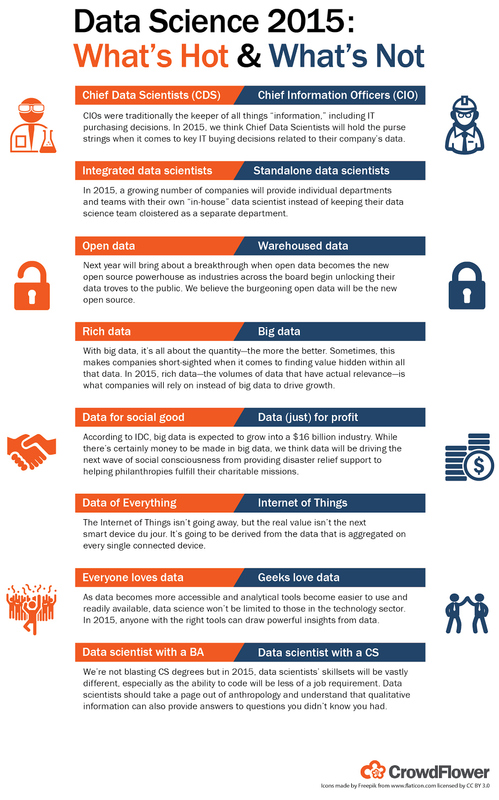 But this infographic in particular is of interest to data scientists everywhere. The information within came from CrowdFlower’s poll of their team of data scientists on what they think will be “hot” or “not” in their world for 2015.